With the aid of a flock of Golden Geese, Samsung Electronics Europe has launched ‘Everyone Is Art’, the first giant collaborative artwork to be made and auctioned for breast cancer. 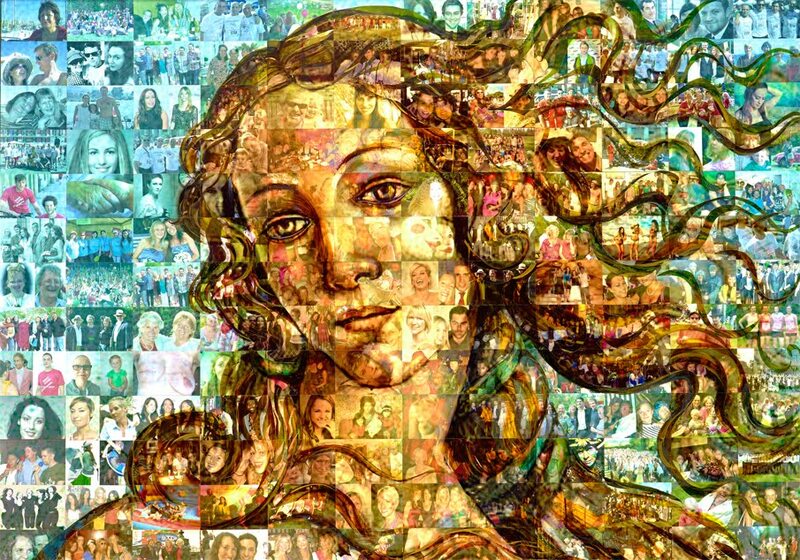 The piece is a recreation of the face of Botticelli’s Venus – featuring the faces of 1,096 men and women throughout Europe who are affected by breast cancer, or campaign for breast cancer awareness. 1,096 women are diagnosed with breast cancer in Europe each day. Breast cancer charities face a constant battle to increase awareness and raise sufficient funding. Samsung has raised over $1.5 million for European breast cancer charities over the last 12 months, providing crucial support for breast cancer awareness, prevention and campaigning.